This product is available at Amazon.in, Flipkart. 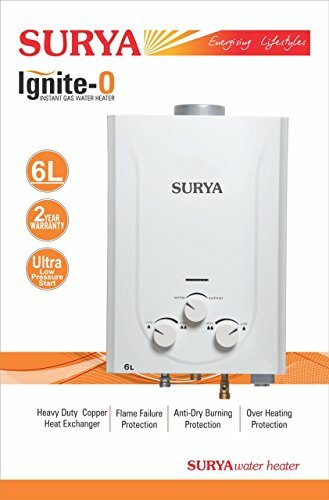 At amazon.in you can purchase SURYA 6 ltrs Ignite - O Gas Water Geyser, White for only Rs. 4,089, which is 14% less than the cost in Flipkart (Rs. 4,750). The lowest price of Surya 6 L Gas Water Geyser(White, Gas Geyser) was obtained on April 14, 2019 10:44 pm.